Lovely denim straight midi skirt in good condition. Button up front, two front pockets. REGATTA SKIRT. PLEATED SKIRT. LADIES PETITE SIZE 14. BONE / BLACK WHITE BOLD FLORAL PRINT. 100% COTTON / LINED. 90 CM AROUND THE WAIST. Classic straight, fitting Cotton/ denim SKIRT. Cotton with stretch, a textured look, black/ grey denim fabric. 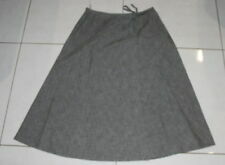 The skirt is in Very good clean condition, no marks or wearing. Machine washable. Small Size 22. Stunning FULL-CIRCLE Cotton Skirt with patchwork, ruffles and frayed edging. I do my utmost to ensure you are getting exactly what I have advertised – BUT – I am not Superwoman (though I know most of us are pretty close lol !). It has different fabric panels, cordoroy, lace, velvet, satin & netting and has sequin & beading detail. Pick up available in Ballarat. Waist to hem:79cms. Janet wears a beautiful Amor Mia Ivory Boho Hippy Lace Skirt. Calf length at the front - ankle length at the back ( fishtail design ). has a beautiful layer of nylon lace around the bottom. Very pretty. Pleat Flared Hemline Panel Button. Pleat hemline on each side with Panel Fabric & Button Detail. 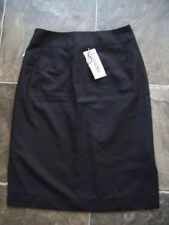 Great little quality Fully lined (feels like Cotton Linen blend ) skirt. Work Skirt. waist elastic has signs of age but does not affect wear - there is a.
JLPlum, Straight Skirt, Black, Solid, PM, Womens Petite, Cotton/Polyester, Pencil, Career, Midi, Unlined, Slip-On, 29" Total Length X 12" Waist Across, Elastic Waist, Textured Feel, Back Slit, $54.67, New without tags, SK-005QOG-001, 9399-16, 939916. Size:One size:Length:app 74cm Waist:app 74-84cm Hipline:app 84cm. Due to the light and screen difference, the item's color may be slightly different from the pictures. We will reply you ASAP. Material:Polyester,cotton. Size:One size:Length:app 74cm Waist:app 74-84cm Hipline:app 84cm. Due to the light and screen difference, the item's color may be slightly different from the pictures. Material:Polyester,cotton. IWe will reply you ASAP. JLPlum, Straight Skirt, Ivory, Solid, PM, Womens Petite, Polyester/Cotton, Pencil, Career, Mid-Calf, Unlined, Slip-On, 30" Total Length X 13" Waist Across, Back Slit. Elastic waistband, $54.67, New with defects, SK-0041F7-001, 9399sk. 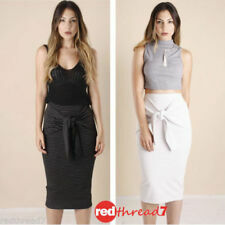 JLPlum, Straight Skirt, Black, Solid, PL, Womens Petite, Cotton/Polyester, Pencil, Career, Midi, Unlined, Slip-On, 29" Total Length X 13" Waist Across, Elastic Waist, Textured Feel, Back Slit, $54.67, New without tags, SK-005QOC-002, 9399-16, 939916. JLPlum, Straight Skirt, Bright Purple, Solid, PM, Womens Petite, Polyester/Cotton, Pencil, Career, Midi, Unlined, Slip-On, 28" Total Length X 13" Waist Across, Elastic Waist, Back Slit, Textured Feel, $54.67, New without tags, SK-005QNR-001. JLPlum, Straight Skirt, Bright Purple, Solid, PM, Womens Petite, Polyester/Cotton, Pencil, Career, Midi, Unlined, Slip-On, 28" Total Length X 13" Waist Across, Elastic Waist, Back Slit, Textured Feel, $54.67, New with defects, SK-005QNR-002. JLPlum, Straight Skirt, Plum, Solid, PM, Womens Petite, Cotton/Polyester, Pencil, Career, Mid-Calf, Unlined, Slip-On, 32" Total Length X 12" Waist Across, Back Slit. Elastic waist band, $54.67, New without tags, SK-0041GC-002, 939955. Style Full Skirt. Pattern Floral. Material 100% Cotton. Color White. Length Mid-Calf. Size Type Petites. 15% off 2nd Item! Size Type Petites. Pattern Solid. Accents Fully Lined. Color Pink. Style A-Line. Reflections of Trinity is a 501 (c)3 non profit dedicated to serving those in crisis with food, clothing and basic needs. Jill Petites skirt. Size Type Petites. Material Cotton Blend. Pattern Floral. Material Cotton Blend. - hidden side zipper/clasp closure. UPC Does not apply. - mid-calf length. Style A-Line. Great little quality Fully lined (feels like Cotton Linen blend ) skirt. Work Skirt. Gathered Elastic Panel on each side of waistband. Stylish Yellow Straight. Pleat Flared Hemline Panel Button. 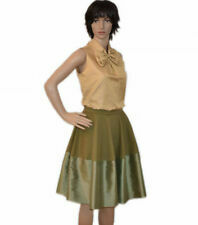 Pleat hemline on each side with Panel Fabric & Button Detail.